ARAYAT -- The local government unit of Arayat is planning to file libel charges against giant TV network ABS-CBN for its "damaging" portrayal of the town in its hit series "Ang Probinsyano." Mayor Emmanuel Alejandrino said Tuesday, July 18, the show has caused "irreparable damage" to the integrity and tourism of the town. "Ang Probinsyano" is a television series about a provincial cop starring Coco Martin. It is shown nationwide on the network's Primetime Bida and globally through ABS-CBN's "The Filipino Channel." "SPO2 Ricardo 'Cardo' Dalisay," the popular character played by Martin in the TV series, fights drug lords, criminals and other bad elements in the society. In its latest series, it talks of a terrorist group operating in Mt. Arayat, a popular site in the town, which Dalisay will try to eliminate. Alejandrino said the show has portrayed the town as "haven or breeding ground for terrorists and hoodlums" for about two months now. Because of the bad publicity, Alejandrino said they are contemplating on filing a case against ABS-CBN before the Provincial Prosecutor’s Office of Pampanga by next week. Earlier, a Municipal Council resolution was also passed condemning the show for it "has caused not only the local government unit in a state of distress but also the Provincial Government of Pampanga for its reckless portrayal of the town." 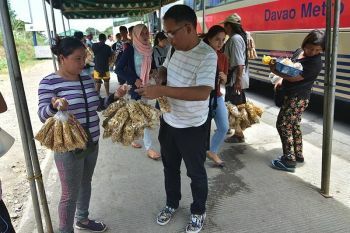 The TV series, said Alejandrino, smears the reputation of Arayat as a wholesome and peaceful town and disregarded the local government’s long efforts to eliminate the stigma of Arayat as "home of terrorists." "Pinapakita nila na kuta kami ng mga terorista, ang Mt. Arayat kuta ng mga terorista. Hindi lang dito sa Pilipinas, pati sa ibang bansa pinapalabas ang 'Ang Probinsyano' kaya ‘yung mga kababayan namin tumatawag sa amin (The (show) is depicting that our town is place of terrorists and Mt. Arayat is pictured as a haven of terrorists. The show is aired not just in the Philippines but outside of the country that is why a lot of our kababayans are calling us)," he said. Alejandrino added that the wrong portrayal of Mt. Arayat already affected tourism traffic in the area. From May to June this year, which is considered the peak season for the local government-run Mt. Arayat National Park located at the foot of the mountain, visitors barely reached a thousand, which is "low" compared to normal peak season operations. 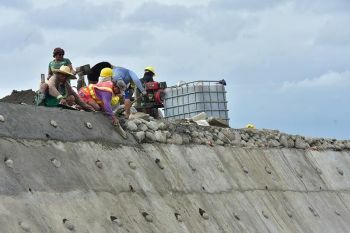 “Ang national park matagal namin dinevelop para mapakinabangan ng local government tapos masisira lang ng isang palabas (We developed the national park so we can benefit from it, but this will be destroyed because of one [TV] show),” he said. Alejandrino said the TV network did not ask permission nor did they coordinate with anybody in the local government on the use of the name of their town in the series. He added that the TV series is only using the name of the town, specifically Mt. Arayat, on the show but never shot any scene in the area as far as he is concerned. The town official also twitted former Pampanga governors Lito Lapid, who portrays the role of the head of the guerilla group, and Mark Lapid, as member of the same guerilla group, for participating in the TV series, which taints the reputation of the town and province they once served.